The Tempo is a simple programmable thermostat that enables a quick and easy setup. 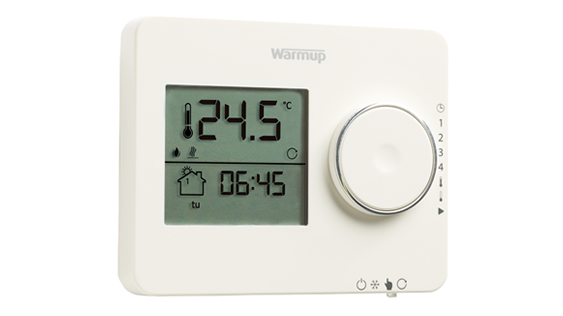 Simply program the heating settings to suit individual requirements. Avoid wasting energy and achieve savings on utility bills. 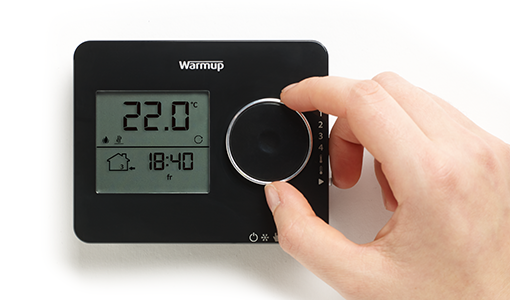 The Tempo Proportional Adaptive Function learns the time it takes to warm a room and activates the heating early so it is up to the right temperature when needed. Enables to choose the time as easily as it would with a watch and quickly set the programs – heat on when needed and off when its not needed. 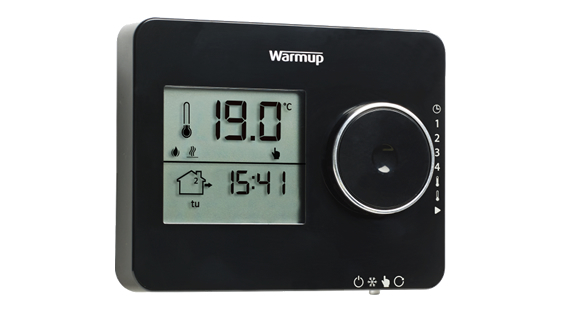 Suitable with all Warmup electric floor heating systems and compatible with the back panel of other Warmup thermostats. Available in three colours; cloud white, bright porcelain and piano black.